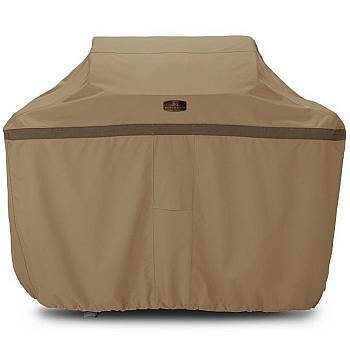 We have a large selection of Patio Furniture Covers. 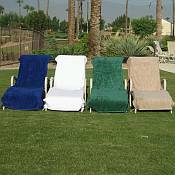 We can cover Sofas, Chairs, Tables, Grills, Outdoor Kitches, Umbrellas and more. Harsh winters with its rain, snow, and ice will wear out your furniture. 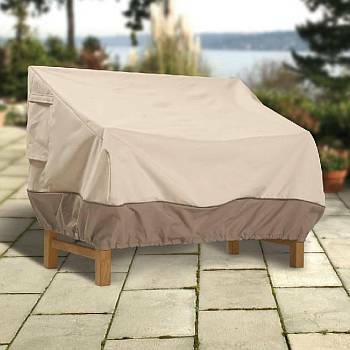 Protect your outdoor equipment on your deck or Garden and cover them. Even if you cannot find a pre-made the size you need, we can custom manufacture a cover to fit. As much as you may want to enjoy your backyard patio, deck, and garden year round, sometimes the weather just gets a bit nasty. 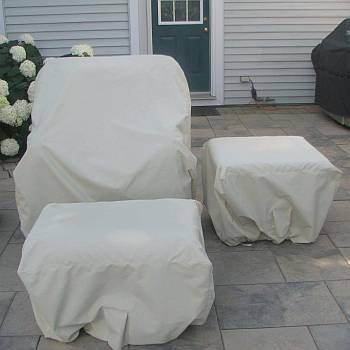 When it is finally time to head for the indoors, don't forget to go the extra step of protecting your outdoor patio furniture with our covers. 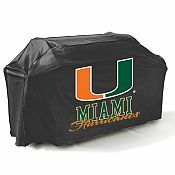 Covers should be weather resistant and able to withstand tough elements like ice, snow, and torrential rains. 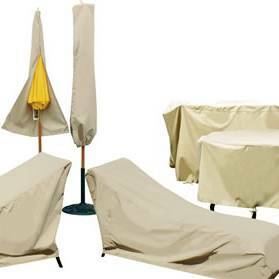 Extend their life with a high quality, durable Outdoor Furniture Cover. These overs are NOT slip covers. These covers are not meant to be form fitting. 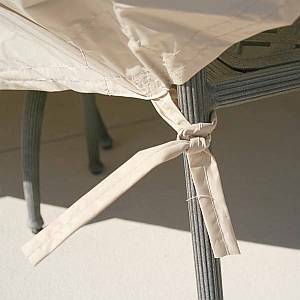 Poor quality patio furniture covers may last only one or two seasons because they are often made with cheaper vinyl or plastic. These inferior materials are easily damaged by extremes in cold or hot temperatures. High quality covers can be constructed from a variety of materials that have crucial characteristics for long life you should look for before making a selection. Outdoor furniture covers should be made of a durable water resistant and UV inhibited material. It should be able to withstand extreme temperatures and weather conditions, both hot and cold, without being compromised. Additionally, covers should be lightweight so that they are easy to put on and take off. Some covers are backed with a soft cloth material to help prevent anything from scratching delicate furniture surfaces, which is an ideal feature if your patio furniture sits near any trees that may drop small branches or other debris over the course of the winter. 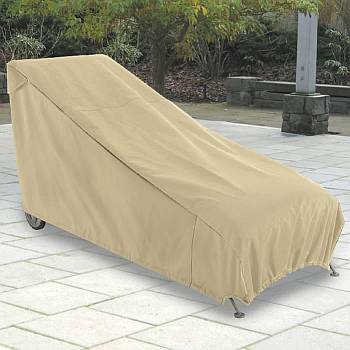 While not essential, most high quality outdoor furniture covers come with special features to consider. 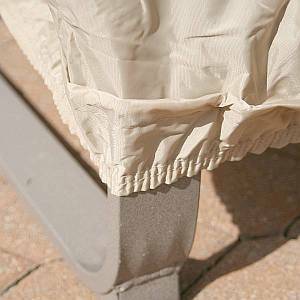 Some special features you may find include elastic hems, Velcro closures, zipper closures, leg ties, and even built-in storage pockets that make storage of patio furniture covers easy and tidy. Piping along the seams is an attractive feature with the practical function of directing water off of covers, but can also "dam" up water. Air vents are a near must on larger pieces to reduce the amount of condensation that can form underneath and reduce mold or mildew. Air vents can also help prevent the covers from catching too much air during especially windy storms.